Would you like adventure on the water, on your own terms? Would you like an affordable way of going sailing? Would you like freedom and independence to launch a small boat virtually anywhere with no need for a slipway? Have you considered a sailing canoe? 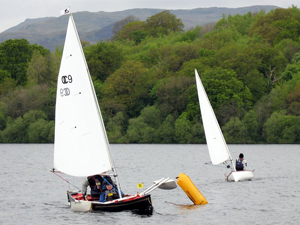 The Open Canoe Sailing Group is a UK wide club for those interested in sailing small, lightweight craft. Please use the menu on the left hand side to navigate around our website. 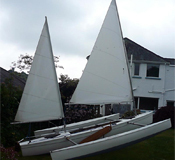 There is often a wide range of canoe sailing boats and equipment for sale from our members. This is updated regularly, so why not take a look?